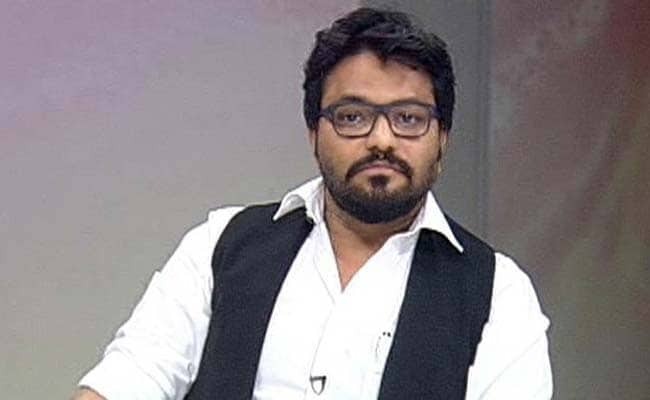 Puja Inauguration By Babul Supriyo Cancelled "Under Pressure"
Mr Supriyo, Minister of State for Heavy Industries and Public Enterprise, had been invited to inaugurate the Durga Puja of Nehru Nagar Sarbajanin at Serampore tomorrow to which he had consented. Serampore: On the eve of its inauguration by Union Minister Babul Supriyo, a Durga Puja committee in Hooghly district today cancelled the programme allegedly "under political pressure". The club authorities, however, decided this evening that the BJP leader will not inaugurate the puja. "We had not realised earlier that we would have to suffer so much political pressure because of our plan to get the puja inaugurated by Babul Supriyo," an official of the puja committee said on condition of anonymity. "So we decided to cancel the inauguration by Babul Supriyo," he said. BJP district president and the puja committee's vice president Bhaskar Bhattacharya said that he was informed in writing that the committee was unable to carry on with the scheduled inauguration by Mr Babul Supriyo. "A union minister cannot inaugurate a Durga puja! This has been done under political pressure. However, BJP cannot be stopped this way," Mr Bhattacharya said adding that he has informed Mr Supriyo about the cancellation of the programme. He said he would resign from the puja committee's post in protest. "Local people did not want the minister to inaugurate the puja. The organisers perhaps took the decision for this reason," Local MP and Trinamool Congress leader Kalyan Bandyopadhyay said. When contacted by PTI, BJP state president Dilip Ghosh condemned the incident and described it as "mockery of democracy". "Babul Supriyo was invited to inaugurate a Durga Puja in Serampore. But at the last minute after being threatened by TMC leaders the organisers withdrew their invitation. This is mockery of democracy," Mr Ghosh said.